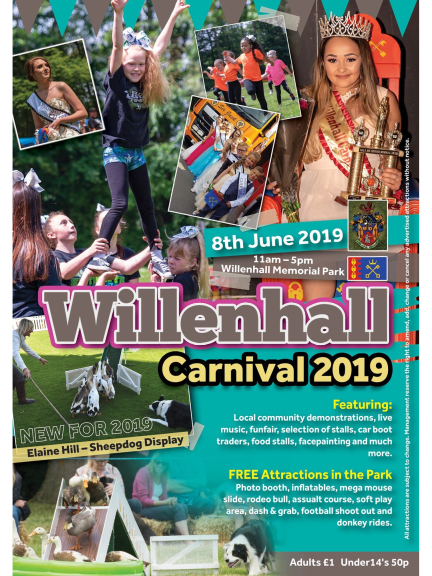 Head down to Willenhall carnival on 8th June 2019! Including local community demonstrations, live music, funfair, stalls, free attractions and more! !